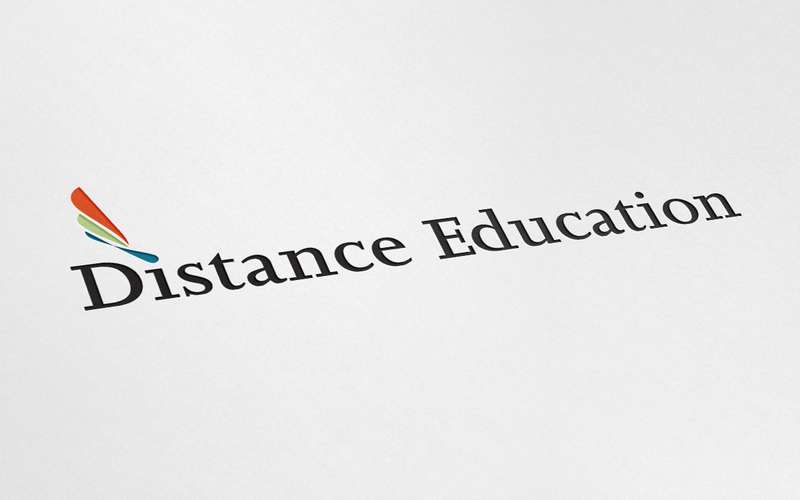 Distance Education, a long term RustyBrick client, hired us again to redesign and revamp some of the functionality on the web site.The new design is cleaner, easier to navigation and brighter. 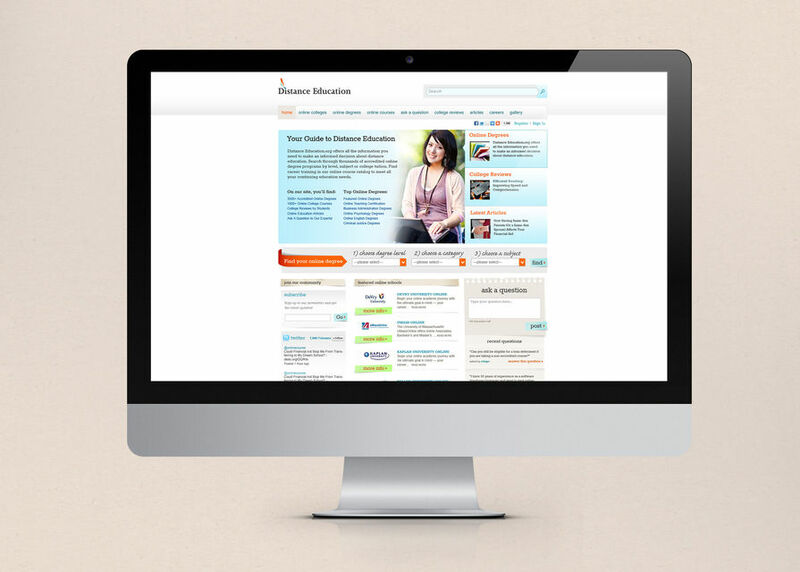 Right from the home page you can quickly find methods to navigate and browse the various online degrees, or reviews of universities and or read some of the latest news and articles on online education. 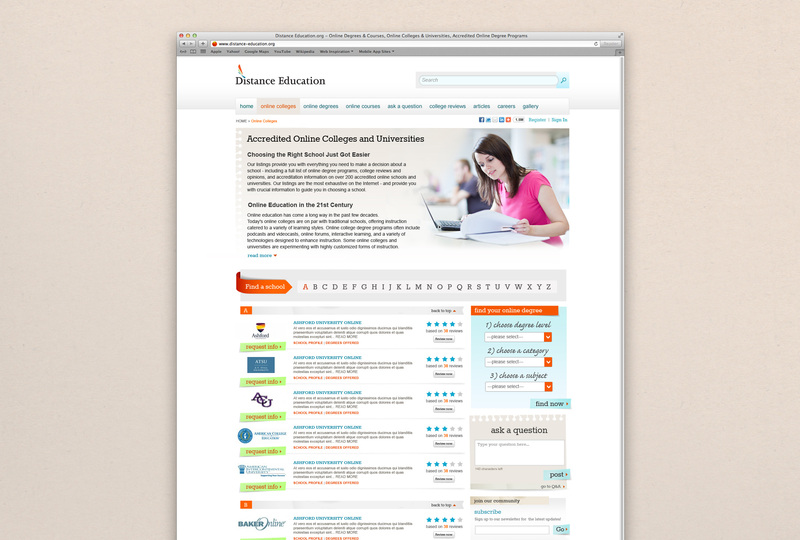 Distance-Education.org has one of the largest libraries of online educational content exploring the world of higher learning in online education. From in-depth articles about the current state of distance education, taking classes online, exploring a new career, regulations and law in education, trends, and student help guides you can be sure we will cover it!